VISIT THE "THUMB"! Nestled on the shores of beautiful Lake Huron, the area encompasses northern Huron County with its 90 miles of shoreline. Port Austin and the surrounding areas are quiet and picturesque, enhanced by the beauty of the lake, wooded areas and rolling farmlands. Because of its unique location, the area offers spectacular sunsets and equally beautiful sunrises over the water. Opportunities abound to enjoy the many outdoor activities that the lake and local beaches have to offer. Fishing, boating, diving, swimming, water skiing, canoeing and anything else having to do with the water are enjoyed by thousands every year. 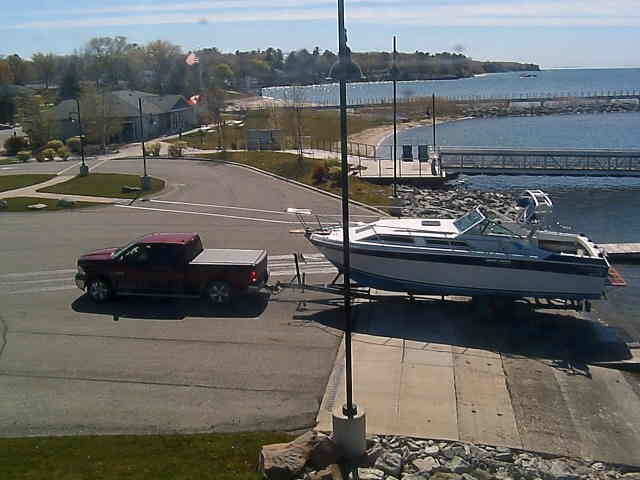 Boat launching sites at Port Austin and Grindstone Harbors as well as public access launching sites are scattered along the coast. Boaters will find a first class harbor of refuge at the Port Austin State Dock, located just steps from downtown shops, restaurants and activities. Charter fishing out of the Port Austin and Grindstone City area is excellent and is rated #1 in the Great Lakes for number of fish caught!!! The area landscape virtually explodes with color in the fall. Take in more fishing and golfing as well as hunting. In the winter there is cross-country skiing, snowmobiling and ice fishing. Spring brings art shows, the annual car show and the Lady's Slipper Festival at the Huron Nature Center along with a rebirth of nature all around the "Thumb." For more information on how you can enjoy your next visit to Port Austin please visit the Greater Port Austin Area Chamber of Commerce website.